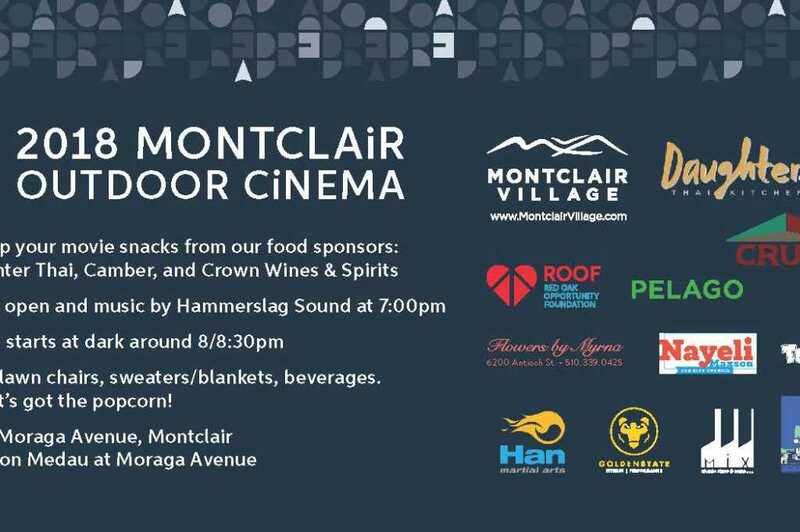 Bring your chair and a sweater/blanket, enjoy the Montclair Village community of restaurants and make it a night out. 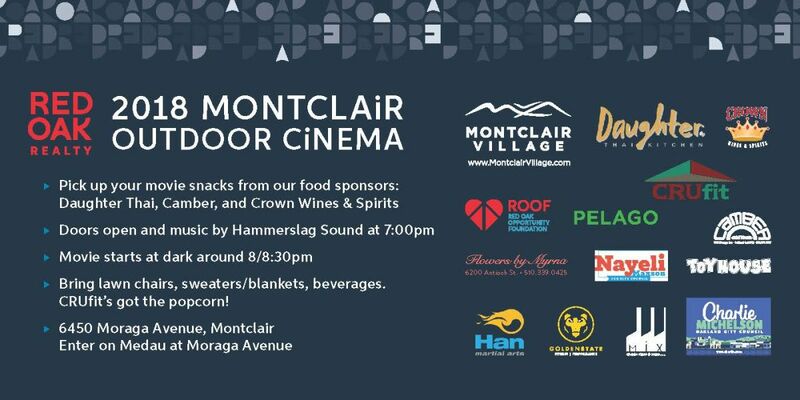 Dine out at some delicious restaurants such as Camber Montclair, and Daughter Thai. This summer outdoor series was made possible by Red Oak Realty, Montclair Village Association, Crown Wines & Spirits, Toyhouse, CRUfit, Nayeli Maxson for Oakland City Council, Flower By Myrna, Charlie Michelson Oakland City Council, Han Martial Arts, Pelago, Mix, Golden State Fitness & Performance, Camber Montclair, and Daughter Thai.